Iron is an essential nutrient, and lack of iron in the diet can trigger symptoms of iron deficiency and health ailments such as anemia, fatigue, weakness and shortness of breath when exercising. Many people also show symptoms of iron overload from excessive intake of iron. The World Health Organization regards iron deficiency the top nutritional disorder in the world with up to 80% of the world's population deficient in iron. Women, babies and infants and older people are particularly susceptible to developing iron deficiencies. Athletes and those who exercise a lot are also at risk. Interestingly, iron overload caused by too much iron in the diet and overuse of supplements is becoming much more prevalent and can cause serious health problems. 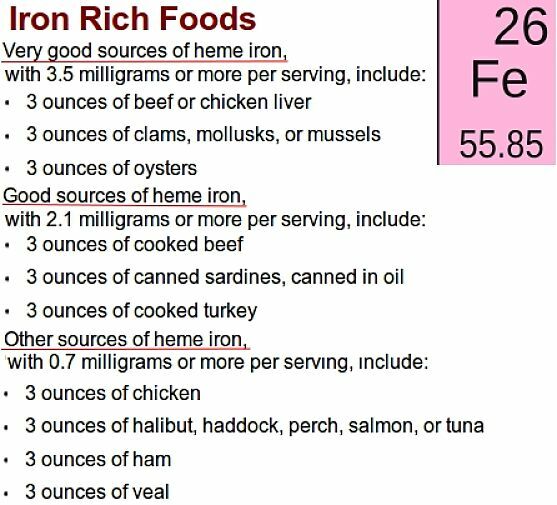 Getting the balance right with heme iron (derived from hemoglobin, blood) and non heme iron (derived from plants) foods in the diet and knowing what is the right amount is the key to avoiding symptoms of iron deficiency and iron overload. 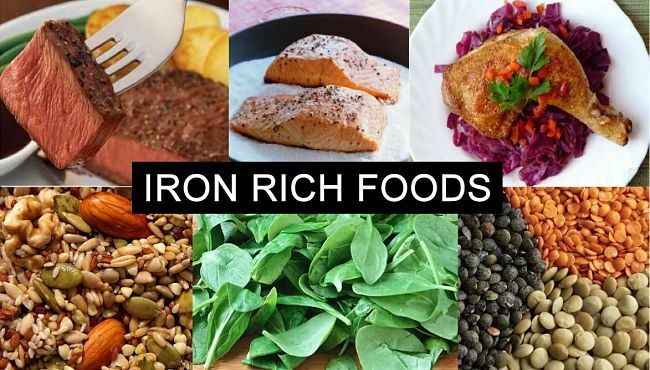 This article reviews what is known about iron and how to maintain healthy balanced levels of iron in the body, neither too high or low, through eating a balanced diet. Iron has a vital role in the body lying in the heart of the hemoglobin molecule, which is the oxygen-carrying protein in red blood cells. Hemoglobin accounts for about 70% of the body’s iron reserve. 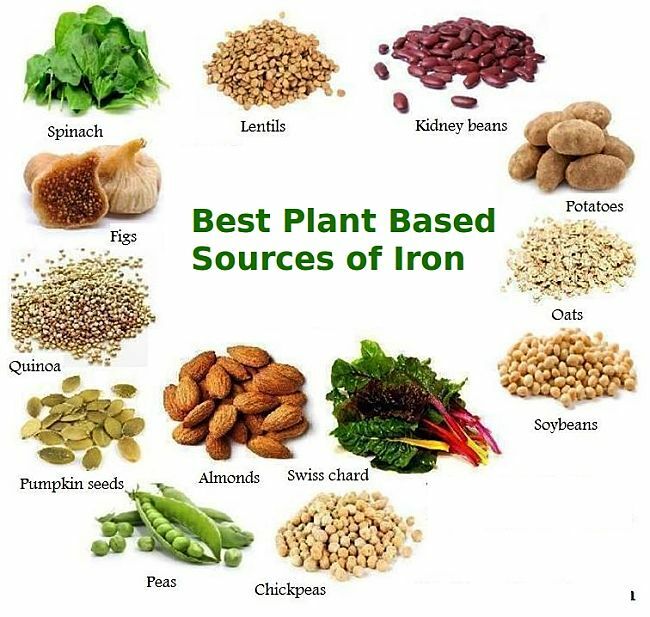 Iron is also used in a wide variety of enzymes throughout the body for energy, respiration and other function. Iron is also found in myoglobin, the protein that provides oxygen to muscles. Importantly, the body can store iron in the muscles that can be released into the blood stream as needed. Newborn babies have enough iron stored in their muscles to meet their needs for up to six months, provided the mother was not iron deficit. The more iron consumed in the diet, though eating excess amounts of red meat or liver, the higher the level of stored iron and the higher the level maintained in the circulation. This process of storage and release can lead to iron overload and lead to various health problems. Iron overload is rapidly becoming more of a problem than iron deficiency. This can damage internal organs and could increase the risk of heart attack, diabetes, and possibly cancer, especially in older people. Balance is important in maintaining the correct level of iron in the body, neither too low or too high. Baby foods, infant formula and many other popular foods, like breads, breakfast cereals, some pasta and rice dishes are fortified with iron. This has improved the situation in developed countries so much that iron deficiency is now more likely in exclusively breast-fed infants due to iron deficiencies in the mothers. However significance iron deficiency risks still apply for young children who drink too much milk, women who are pregnant or menstruating, high performance athletes, vegans and strict vegetarians, and people whose medications cause internal bleeding or via dietary or chemical interference with iron absorption processes. Various studies have shown that people who undergo regular in strenuous exercise, especially adolescents and vegetarians, have higher risks for developing iron-deficiency anemia. 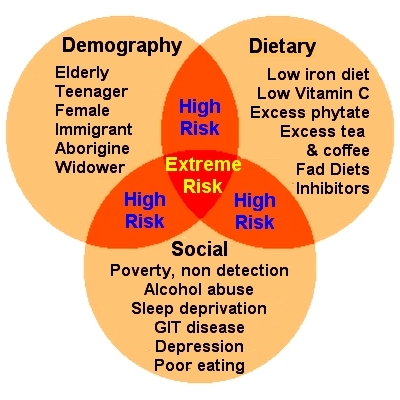 The image below summarizes the risk factors associated with demography, diet and social issues. These risks can be combined when they co-occur and lead to greatly increased risks. The table below summarizes the recommended amount of iron for different ages groups, male and female. Healthy infants delivered at full term are born with enough iron stored in their muscles for the first for 4 to 6 months of their development. Iron contained in human breast milk is more easily absorbed by infants (50%), that from formula (12%). Gradual shift to iron-enriched solid foods should be done from 7 to 12 months of age. The groups with the highest intake requirements for iron are pregnant women and menstruating women. Teenagers and young infants also have need for extra iron. Levels of stored iron were lowest in people who consumed more than 7 serves of whole grains each week. The problem with the body storing too much iron is that, apart from bleeding, the body can’t easily get rid of it. Menstruating women are unlikely to have iron overload, but for others frequent blood donation and changes in diet are recommended. Excess iron needs to be treated as the iron gets deposited in the heart, liver and pancreas. Iron Overload can cause cardiac arrhythmias, cirrhosis, liver cancer and diabetes. Although there are various causes of iron overload the most common is excess consumption of red meat and other foods rich in iron. Consumption of red meat soul be restricted to no more than 2-3 times a week with a redirection to substituting meat with more seafood, poultry and plant sources of protein (dried peas, beans and nuts). Inadequate supply of dietary iron but cutting down on red meat during training. Increased demands for iron via increases turnover of red blood cells, muscle and blood vessel development. High iron loss through injury, losses in sweat, minor bleeding in the intestine or menstruation, and damage to red blood cell through 'foot-strike'. Some vegetables, like spinach contain oxalic acid, which interferes with iron absorption. Foods high in calcium (hence linked to too much milk) interfere with iron update. 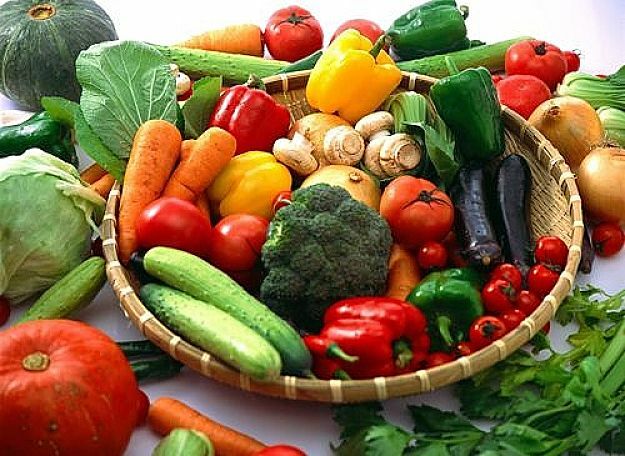 But the vitamin C and other acids in fruit and vegetables boost iron absorption. Tannins (found in tea), and excess coffee consumption can decrease absorption of non heme iron. 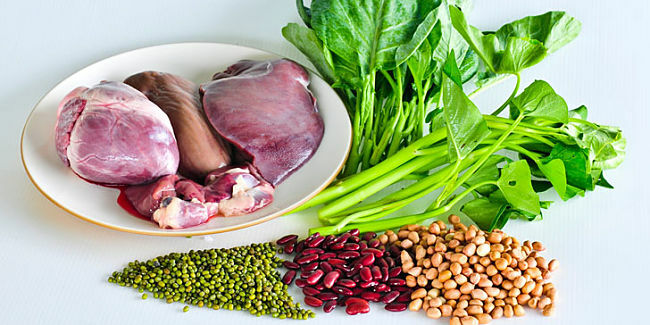 Heme iron (15-20%) is much better absorbed that the non heme iron (2-10%) found plant foods such as maize, black beans, rice, soybeans and wheat. 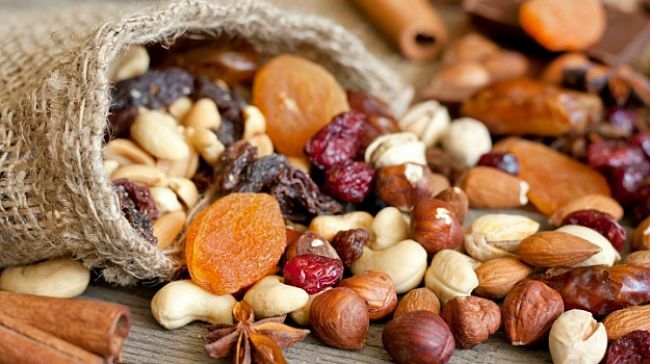 Non heme iron absorption is also greatly affected by various food components. Iron intake is reduced in people who have poor diets that have high calories but are low in vitamins and minerals. Sugar sweetened sodas, potato chips and most desserts are examples of these low nutrient density foods. People who ate less of these foods were less likely to have iron deficiencies. 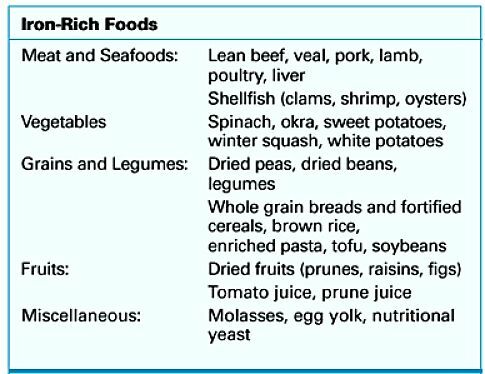 The tables below show the heme and non heme foods that are rich natural sources of dietary iron.